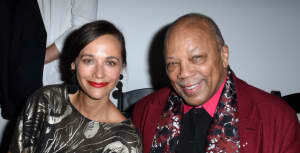 Quincy Jones will no longer be sharing the greatest stories you've ever heard. The iconic producer announced on Twitter that his six daughters "(who I'm beyond proud of)" have sat him down for a "family intervention" to address his now-famous recent interviews. "It's apparent that 'wordvomit' and bad-mouthing is inexcusable," he wrote in the post, likely in regard to comments he's made about Michael Jackson, T-Pain, and other artists. "I am sorry to anyone whom my words offended & I’m especially sorry to my friends who are still here with me & to those who aren’t." Read the full statement above. Thumbnail courtesy of Stephen Shugerman/Getty Images.